Here are our top five reasons to visit Portugal’s top holiday hot-spot in 2016! You may well remember the Algarve from blissful childhood holidays in the sun, no doubt involving melted vanilla cornets and fresh sardines by the harbour. But with it experiencing a record-breaking tourism surge in 2015, with Portugal’s National Statistics Institute reporting an increase in its overseas visitors of 12.2 million, we think it’s definitely time to relive holiday memories or create some new ones! As the Algarve is hot for 2016! So pack your sunnies, beach-towel and flip-flops and whilst you’re at it, s ling in a wet suit, hiking-boots and adventurous spirit too…Here are our top five reasons to reacquaint , or check-out for the first time, the Algarve! With luxurious spas, yoga retreats and nourishing sea views around every corner, the Algarve is fast becoming a leading wellness destination – why not tackle your New Year’s resolutions head-on in some of Portugal’s finest retreats? 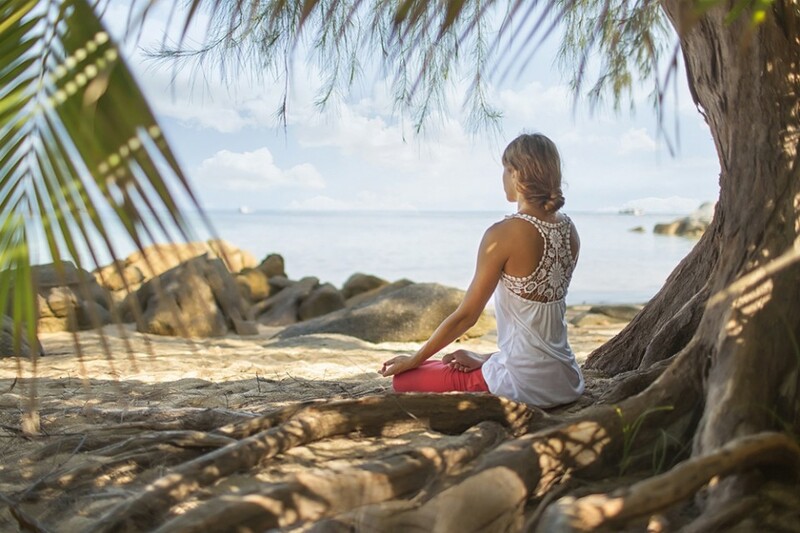 Home to the most respected therapy centre in Europe, jaw-dropping sea-views and a spa to die for, this luxurious retreat is sure to invigorate, energise and inspire. Yoga and surf – Unleash your inner yogi and find balance in more ways than one. The Algarve is home to many yoga and surf retreats, offering workshops in everything from mindfulness and meditation to catching the perfect wave. Vitalis é Portugal – Situated north of Albufeira, this resort promotes health and wellness the holistic way. With sports facilities, an award-winning spa and juice-diet programmes within lush, idyllic settings, this is the perfect place for a new year’s detox. The Algarve’s shoreline is glorious, sun-drenched and hard to resist, but ditching the sun-lounger and exploring the coast will reveal a brand new kind of beach culture! Faro Island – Accessible by boat or road-bridge, Faro Island beach is a dramatic sweep of glorious sand. Its best feature however, lurks beneath – some of the most incredible marine life on the Portuguese coast, perfect for scuba and snorkel fans. 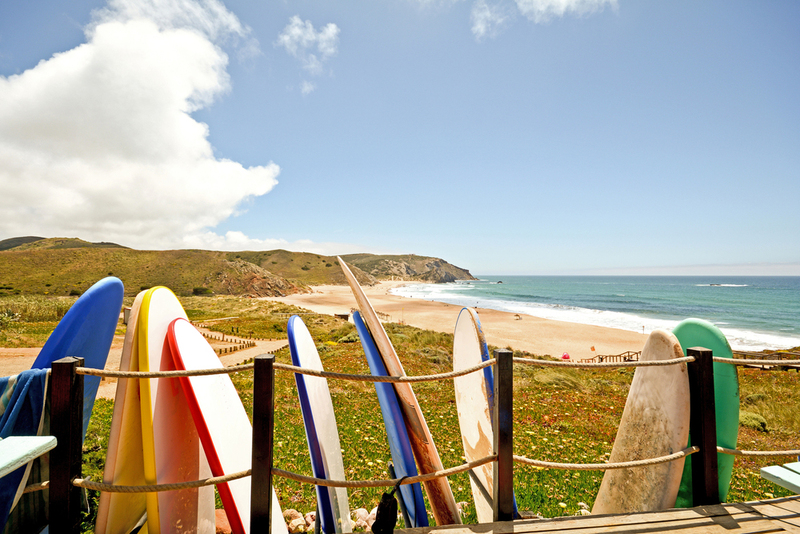 Praia do Amado – Keen surf bums should head straight to the panoramic expanse of Praia do Amado. With numerous surf schools offering lessons throughout the year, this popular local haunt is a watersports paradise. Praia da Marinha – There’s nothing like a seaview, and Praia da Marinha offers stunning coastal scenery by the bucket (and spade) load. A hike along its rugged clifftop will get your heart pumping and fill your camera with breathtaking snaps! Quarteira – For a delicious introduction to the fruits of the Atlantic, head straight to a seafood snack bar in Quarteira. Tico Tico is a local favourite, with staff who construct your perfect fish-dish from the day’s fresh catch! Shellfish Festival – Fish fiends will also revel in August’s annual Shellfish Festival. 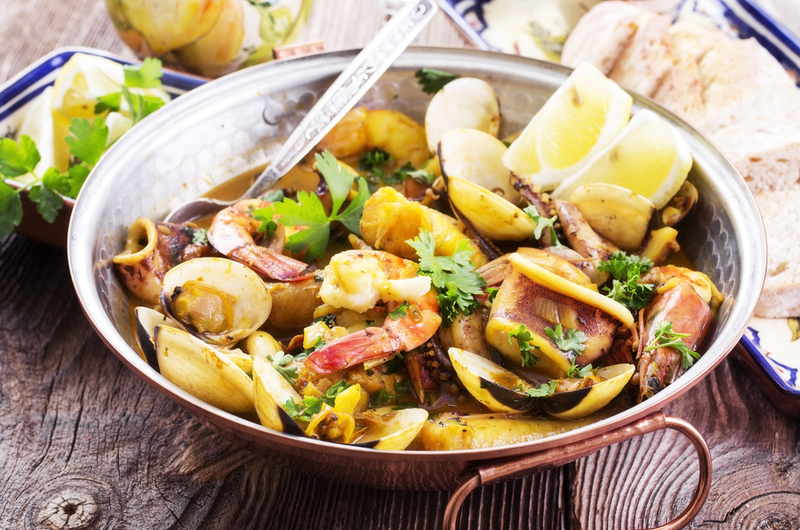 Held in Olhã o port, this event draws international merchants and foodies to sample the tastiest seafood on offer, so bring a healthy appetite! Monchique – For something a little heartier, head for the hills – the town of Monchique, to be exact. Here, rustic meat-stews and hair-raising glasses of the Portuguese national drink aguardiente are the dish of the day. The Algarve’s beaches often steal the show, but Journey inland, and you’ll find that the region’s true personality lies in chattering coffee shops and cobblestone backstreets, in which getting lost is a pleasure. What’s more, with vastly improved road networks and intercity connections, the E VA Bus Network offers cut-price access to charming towns and the more secluded beaches, often overlooked by holidaymakers! Loul é – Loulé – is perfect for getting to know the authentic Algarve. Rummage amongst the antiques, handicrafts and deliciously fresh produce of the city’s renowned daily market, and soak in its charming, whitewashed terraces. 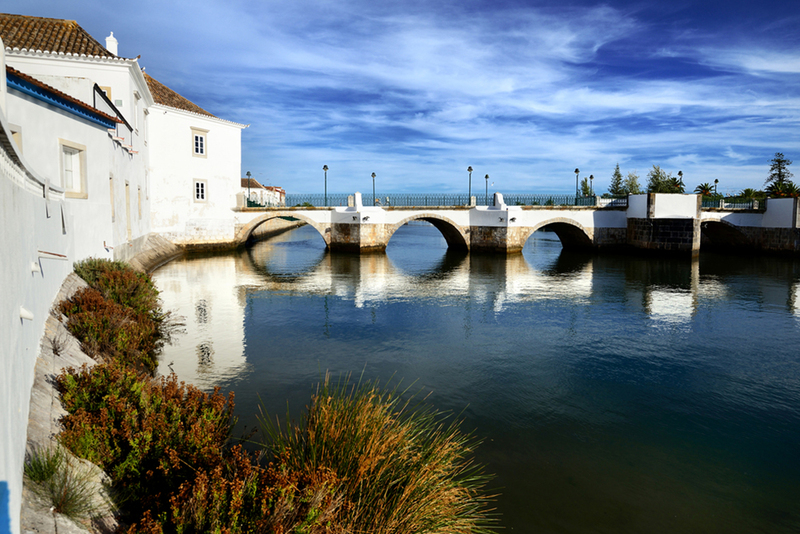 Tavira – The Algarve’s most picturesque town beckons wanderers with its littoral charm and dazzling sea views. Once you’ve roamed the streets, the best way to enjoy Tavira is to settle in a beachside cafe and sip a cup of rich, Portuguese coffee. Olhão – A stroll through the palm-strewn streets of Olhão is sure to spice up your holiday. This quaint fishing village is permeated with North African influence, boasting stunning Islamic architecture and Moroccan cuisine that’ll trump sardines by the sea any day. Fiesa Sand Sculpture Festival – One for the kids (and big kids), Fiesa’s annual Sand Sculpture Festival runs through the summer, showcasing the hottest sand art in Europe. After dark, the sculptures are illuminated and enhanced by local food stalls and live music. Querença events – If you head to the Algarve for a bit of winter sun, be sure to catch the hilly village of Querença’s Christmas Festival, which includes traditional cooking classes and music from the church choir. 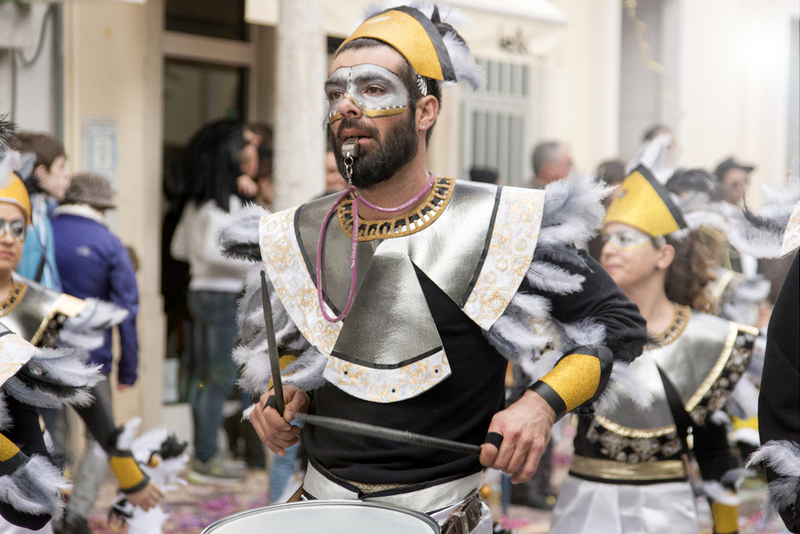 White Night – Originally celebrating Algarvian farmers herding their flocks to the sea for a yearly bath, Loulé ’s White Night Festival has evolved into one of Portugal’s biggest parties. In August, the city is transformed with decorations, live music and dancing ‘til dawn. And finally … Where to Stay? Check out some fabulous places to stay in the Algarve on our own website Pure Portugal Holidays and Rentals and there’s also a great selection on booking.com and Travel Republic. Pure Portugal – it’s a Trade Mark!